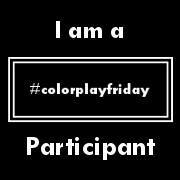 Hello and welcome to another Color Play Friday! It has been a busy week and I'm not sure if I'm glad it's Friday or not! On the one hand, it's good that this busy week is over but on the other hand, I could use an extra day or two before the weekend! 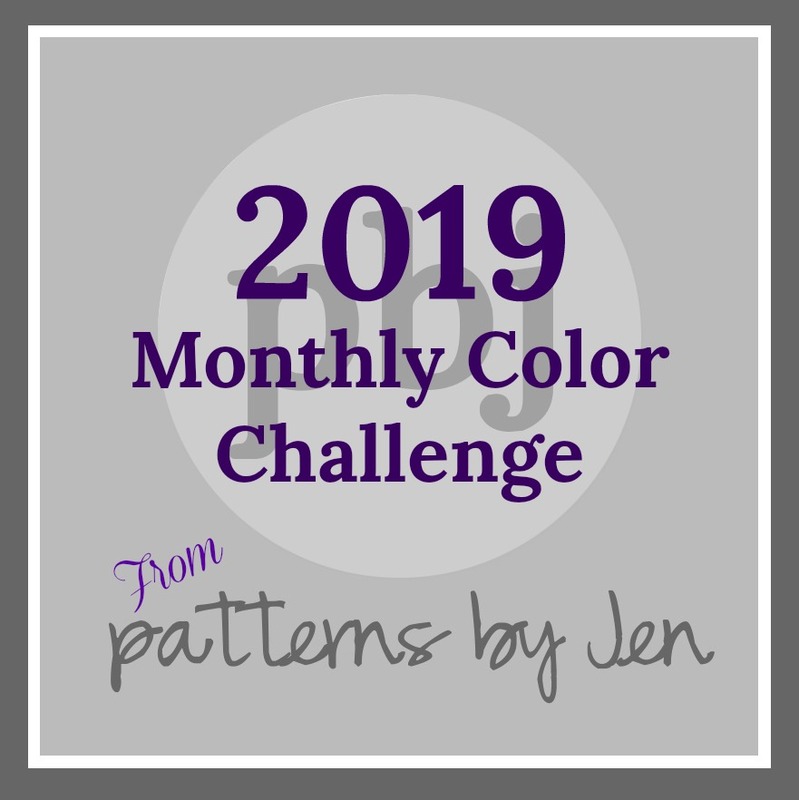 For those of you who may be new, Color Play Friday is a weekly challenge hosted by Trina from In an Otter Life and Lorinda from Laurel, Poppy and Pine. Every week they provide one of their own photographs and then the CPF participants create a color palette and coordinating fabric bundle based on the photo. Fun! This week's photo is called Bobbins. We all have plenty of these sitting around! Confession time. I really only use one bobbin! I know, I know! 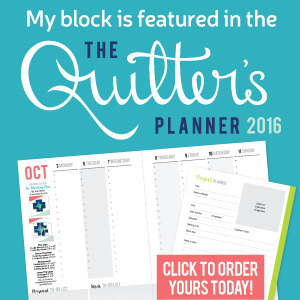 All you quilters out there who pre-wind a bunch at a time are probably gasping with shock. I just don't like to have a lot of loose bobbins all over the place, pre-wound or not. 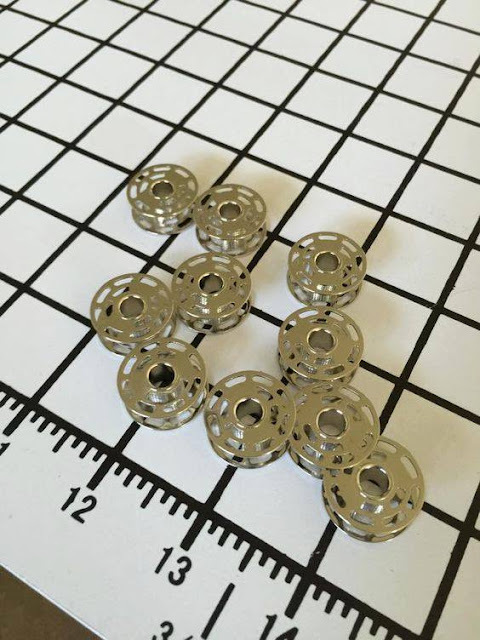 Do you have a bunch of pre-wound bobbins? How do you store them? Anyway, here is what I came up with for the week. This photo did not offer up a lot in terms of color. I had to zoom in and then zoom in again to find that bit of lavender. It was hiding inside one of the bobbins. 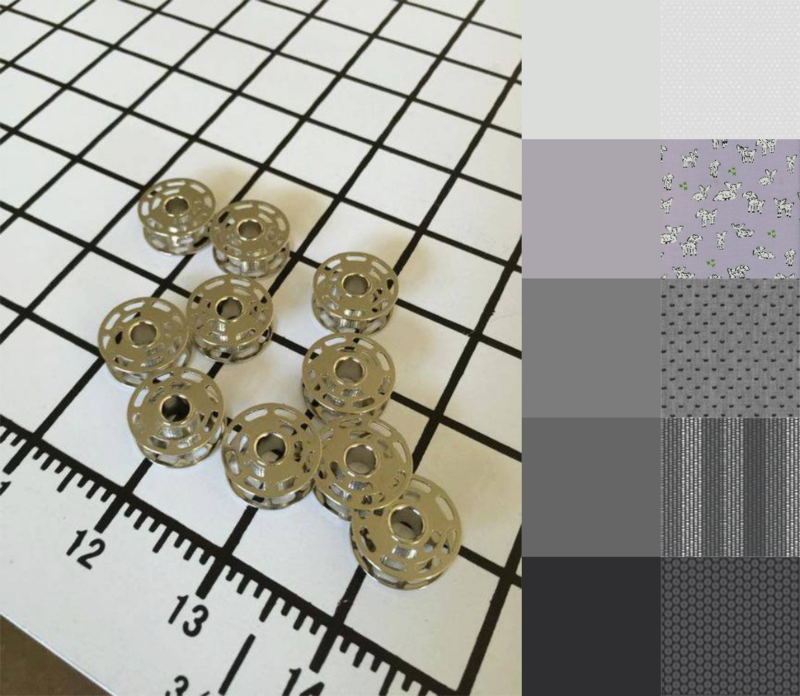 The medium grays also came from around that area. I know it's hard to tell but I promise those colors came from this photo! Lol. I "shopped" at Hawthorne Threads again this week. I'm not sponsored by them or anything like that; I just find it really easy to use their color grid tool to search for fabrics. Be sure to check out the other participants this week! As always, if you are interested in playing along, please check out the hosts' pages for more info. You can click on either of the CPF buttons on my sidebar. See my past CPF entries by clicking the Color Play Friday tab at the top of my blog! I didn't see much, either, but then I thought of a couple of different ways it could be interpreted. I like what you've done here, though - I would say it could use white or grey white for a contrast and then you'd have a monochromatic piece. I think I would have been tempted to go black, white, and metallics for this one. I can totally see how that lavender could come out to play too. Do you ever use the Play Crafts Palette Builder to pull colours? It's a go to tool for me. Great job! I know you had to really look for that lavender, but the lamb fabric was worth it!